Our Woodstock Revival Saturday was very similar to the Woodstock in ’69. Then the rains came. 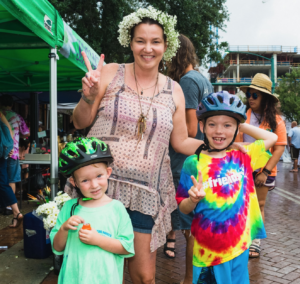 Market staff, vendors, sponsors, and all involved put a lot of effort into bringing possibly the largest summertime event for downtown Sarasota. Customers arrived in their hippie attire. Our band Paisley Craze was ready to play on the new farmers market mobile stage, but unfortunately we had too much rain. 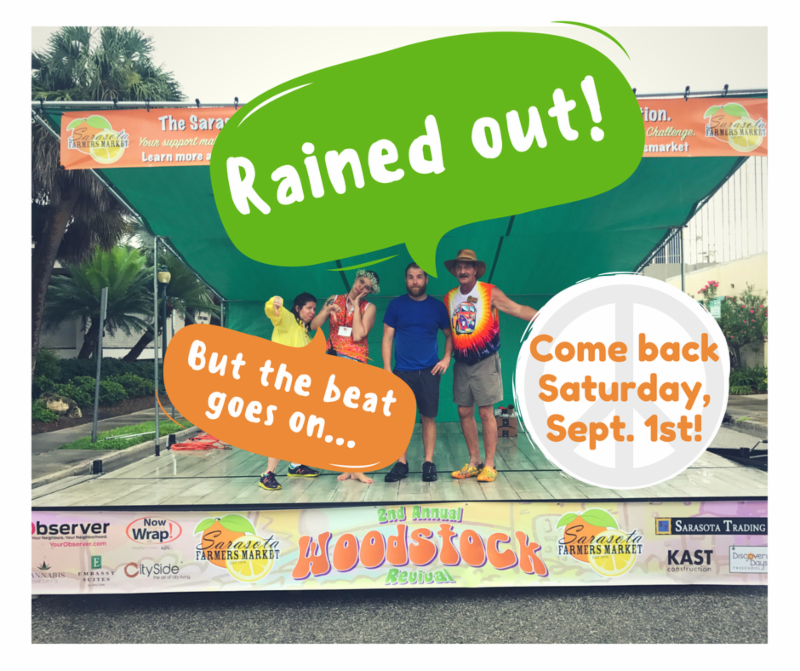 This morning I contacted the City of Sarasota and they are in favor of Woodstock Revival Redo, Saturday, Sept. 1 (Labor Day weekend). We thank the city for all of the support they have given the market over the years, and Woodstock Revival Redo will be incredible. 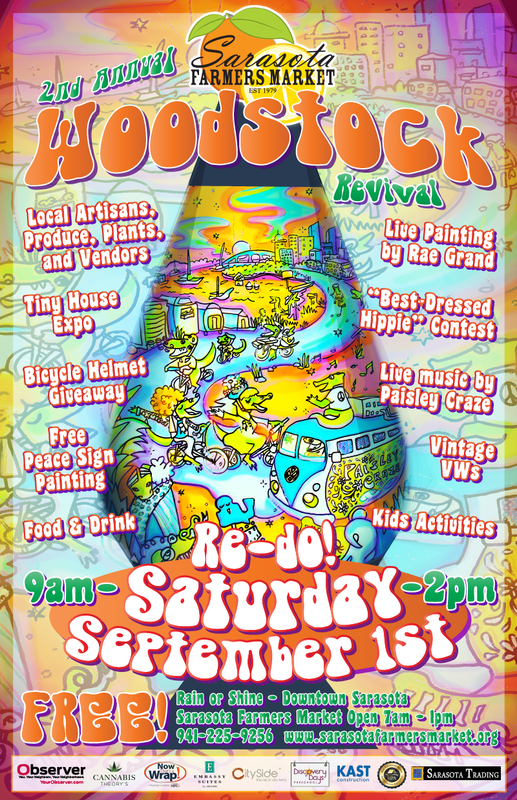 Please join us on Saturday 9am – 2pm for the grooviest event of the summer!